A graduate of the Guildhall School of Music and Drama in London, over the last few years Jamie has cemented his reputation as one of the UK's busiest and most versatile guitarists. Recently returmed from European/USA tour with Roisin Murphy, Jamie can be heard on her recent Mercury Music Prize nominated album Hairless Toys, and her latest release Take Her Up To Monto. Jamie has featured live & on record with a multitude of other artists including 2017 BGT winner Tokio Myers, The 2017 X-Factor final for Kevin Davy, Una Healy (The Saturdays), Will Young, Nell Bryden, Simple Minds, Jools Holland, Melody Gardot, Kid Creole, and many more. His guitar playing and arrangements have featured in many dramas and film scores around the world, and he frequently contributes to international radio & TV. 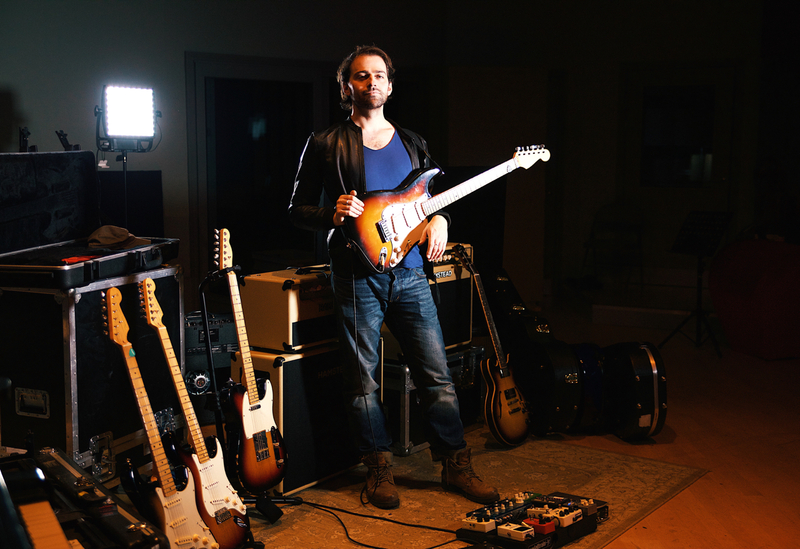 In 2001 Jamie won BBC Radio's Guitarist of the Year competition before studying music full time, gaining two separate Masters of Music qualifications; The first in contemporary composition (Newcastle University 2003), and the second in jazz performance & arranging (Guildhall School of Music and Drama in 2009). Also active in London's West End, Jamie regularly plays the Book of Mormon and Beautiful, having previously played Thriller Live and the UK premier of the Color Purple. As a composer and artist in his own right, Jamie also leads his own band and performs frequently as a soloist around the UK. These vituosic live shows explore his interest in the gaps between jazz, rock & classical harmony, and focus on modern, memorable melodies and flawless command of the guitar. Based in Central London, Jamie has his own writing/production suite affectiontely called the Shred Shed in the old Candle Maker building in Battersea (Price Studios). This suite aims to cater for all guitar-specific recording & score editing needs and has access to every type of guitar, amp, amp modeller & FX pedal in common use. The suite is also often used by visiting musicians & producers to write & record and is available for enquiry via the contact information below. Jamie continues to play internationally both as a recording artist and part of a multitude of live bands around the world. He also doubles on bass, drums, banjo, mandolin and ukulele, reading fluently on all.